To Embrace the Sun: What Would've Happened..? In Chapter Two, Taj was ordered to not speak unless commanded by the Master. The Overseer begins to relate his version of what happened, thereby condemning Taj and Rasha. Readers chose to have Taj disobey the Master's order and interrupt the Overseer. What would've happened if they'd chosen another option? As before, this is a spoiler-free zone. If any of the choices affect story progression in later chapters, they will be marked as "More To Be Revealed." As yet, we have no further revelations for earlier chapters, so you don't need to backtrack yet! Choice B: Taj stays silent. This choice establishes that while Taj is unafraid to get into trouble with authority, he is also tempered with a sense of when to let that trouble happen. He still has a deep respect for authority, and trusts that the right thing will happen (in this case, that he would be allowed to speak). In this story option, the Master would hear the Overseer out, and then, due to Taj's obedience, would indeed ask for Taj's side of the story. The necklace would still not have been found, however, and so Taj still looks like the thief. The Master would have performed the questioning himself, instead of leaving Taj and Rasha to the Overseer. Choice C: Taj interrupts the Overseer, only to insult him. This choice takes the revelations from the first chapter (specifically that Taj is not afraid to get in trouble with authority) and dials it up. Not only is Taj not afraid of confrontation with authority, he almost seeks it. From this point on, Taj would speak his mind more openly and loudly. In this particular scenario, running his mouth with the Master so furious, Taj would have had his tongue removed for his obvious disrespect. Future chapters (again, assuming he survives the repercussions of The Tavo Debacle) would have him be more of a rebellious figure...and, of course, mute. Taj would get into noticeably more trouble. Tavo's relationship with Taj would strengthen (due to their shared tendency to get into trouble). Choice D: Taj lets the Overseer finish his explanation and then appeals to the Master. This choice shows us that while Taj has enough respect to allow the Overseer to finish, he still feels he has to take matters into his own hands and risk angering the Master, ensuring that his side of the story is heard. He does not trust the right thing to always happen, and would be shown to have a reluctance to trust anyone other than his closest friends. This scene would have played out much the same as the way it actually did in the chapter itself, with the notable personality exception. Choice A: Taj interrupts the Overseer and appeals to the Master. In choosing this option, Taj proves himself to not wait for fate to potentially go in the wrong direction. His tendencies towards leadership are grown by this choice – he barrels ahead to make his point, taking the situation into his own hands, as best he can. In Chapter One, Rasha has been discovered by the Overseer, and Taj has only a few moments to act – or not act. Readers chose to have Taj run into the Overseer's home and help his friend by attacking the Overseer. But what would've happened if they'd chosen something else? How would the story have been directed if Taj had performed any of the other choices? This is a spoiler-free zone; if these choices affect anything in later chapters, they will be marked as "More To Be Revealed." As our story progresses, I will go back and add to these choices, so keep an eye on them! Choice A: Taj stays put, hiding and hoping that he won’t be noticed. He waits to hear from Tavo. This choice establishes that Taj tries to avoid trouble with authority. It also shapes him as a character that is more of a follower than a leader; he'll risk waiting for Tavo, to see what to do next, but he won't risk going in to help Rasha. If this chapter had played out, Taj and Tavo would have escaped this scenario, leaving Rasha behind. In the morning, the corpse of Rasha would be presented to the workers as a warning to all who would step beyond their "rights." The life of the slaves would become much harsher, and the Overseer would be given full authority to be as heavy-handed as he wishes. The relationship between Tavo and Taj would be strengthened as they both agree never to let anyone know about their involvement in Rasha's death. The relationship between Taj and Jia'nen would sour, as she would not be able to forgive either of them for what she would see as betrayal. There is more to be revealed on this choice. Choice B: Taj runs like mad, returning to his cabin and pretending to sleep. This choice establishes that Taj puts his own safety over the safety of others, even his own friends. It gives Taj a definite sense of self-preservation to the exclusion of other things. In this scenario, Taj escapes and returns to his bed. In the morning, he reconnects with Tavo as the corpse of Rasha is presented to the workers. As in choice A, life for the workers becomes a lot harder and Taj and Tavo agree never to let anyone know about their involvement. The relationship between Tavo and Taj becomes a little strained, however; the night becomes a “sore point” for Tavo, that Taj ditched everyone, including him. This might become a bargaining chip in the future, if Tavo ever needed one. Jia'nen's relationship with Taj sours in this option as well. There is more to be revealed on this choice. Choice D: Taj runs in to try to help Rasha, saying this was all his plan. In doing so, his goal is to divert the Overseer’s attention. This choice establishes that Taj has a heroic streak...and a bit of a martyr streak, as well. Taj's wounds would have been a lot worse: loss of body parts, etc. As in the actual Chapter 2, Rasha would have escaped to warn the Master. The rest of the chapter would advance as it already has, with some exceptions: in the future (and assuming Taj survives the encounter with the Overseer and the Master), Taj would gain a reputation for being the mastermind behind the attack...along with all the ups and downs that such a reputation would bring him. The relationship between himself and Jia'nen strengthens; she respects and honors Taj for his sacrifice and his willingness to protect Rasha. Jia'nen's relationship with Tavo sours, and Taj's relationship with Tavo becomes a little rocky, though this is enacted by Tavo, more for jealousy's sake – he was the mastermind behind the plan, after all. There is more to be revealed on this choice. Choice E: Taj runs to fetch the Master. This choice establishes that Taj has a sense of authority and a respect for the "proper channels," being more likely to go the "proper route" before taking matters into his own hands. The Master, Bonjato, and the other guards arrive in time to save Rasha, although he is hurt significantly worse than in the actual Chapter 2. Assuming Taj survives the encounter with the Master and the Overseer, Tavo's relationship with Taj is strained due to what Tavo considers "cowardice." The relationship with Jia'nen, however, strengthens significantly due to the fact that Taj listened to her "wise" advice. There is more to be revealed on this choice. Choice C: Taj runs in to try to help Rasha by attacking the Overseer. In choosing this option, Taj now has a heroic streak, and has shown himself to be more of a leader than a follower. He puts the safety of others over his own. He's willing to take matters into his own hands before going through the “proper channels” if it seems to be a wise decision at the time. Moreover, he is not afraid of getting in trouble with authority if it means he's doing what he believes to be the right thing. There is more to be revealed on this choice as well, but you're going to be reading about it in chapters to come! Look into the fire, brothers, sisters. It is the same fire that great Zhala sent to rain upon the fields of the far north in His fury, the same fire that pure, innocent Oacel used to strip the tainted shadow away from Her brother, the fallen God Centu. It is the same fire from which we Acen were created, and that same fire which safekeeps our magics until we may earn them back from the Gods. My task and my promise to those above us, Gods and Those Who Came Before, is to keep these histories, these lessons, and to share them. That we may never forget who we are, and who we were, and who we may once more become. That we may once more learn that which we lost, and finally be able to embrace the sun, as our ancestors strove to do, long before us. Hear, now, the story of the Acen. The world was young, even in the eyes of the Gods, lush and green and ever-giving. The beasts roamed the fertile earth and were plentiful, while the birds set to the skies and witnessed for them the grand works that the Gods had created. Nature was set into a balance and all was peaceful in the world. This was not enough for jealous Centu, however. For the beasts and birds did not hear the voices of Gods, could not follow His commands, could not fulfill His wishes. And so it was that Centu drew upon the already-giving nature of the world, took from it the strength of the earth and the might of fire, and created the Humans. At first impressed with the idea of a creation that could interact with Her, the Goddess Oacel learned from Her brother. She borrowed the mutability of the water, the breath of the wind, and the warmth of rich earth and created the Elavien. The rest of the Gods warned Centu and Oacel to be careful of their new creations, to be certain to teach them the ways to keep the world in balance. Fair Oacel took heed to the instruction, and the Elavien, so taught, wandered the earth and strove to keep all in a fair balance. Centu, however, taught the Humans only to obey. He saw the Elavien drawing across the world, growing in number, and as was His way, he grew jealous. He whispered to the Humans, told them that the Elavien were aiming to control as much as possible. He spurred them to action, to take what lands they could before none were left to them. So instructed, and believing that their God only spoke truth, the Humans created weapons and set to the Elavien. It was a terrible war that was waged, and the Elavien were driven near to extinction as Centu watched. Gentle Oacel wept to see Her creations destroyed by Her brotherʼs jealousy. She went to the most trustworthy of Her peers, the God Aʼcevel, and begged for help. Aʼcevel agreed to help Oacel, and performed three miracles for Her. For the first, He placed a web upon the Humans, that they could no longer hear the covetous whisperings of Centu. For the second, He blessed the creations of Oacel; those Elavien that remained were granted the ability to wield the magics of earth, air, wind, and fire. This magic flowed through their blood, and for each Elavien that fell, it bestowed a blessing to the earth upon which its blood spilled, so that even in death, it brought life anew in the form of magical plants that could cure illness. The third miracle Aʼcevel performed was to create the Acen. He looked upon the damage the Humans had wrought to the lands and to the Elavien, and He called upon the scouring power of fire. A great pillar of flame twirled into the great Godʼs hand, and from its chaotic dance He began His miracle. "Let a new race be born," He said, "to restore a peace within this world. Let it be born of the beasts, that my children might never forget that they are a part of this world." And He reached down into the plains, the forests, the jungles, the deserts, and He plucked up several of the great cats who roamed those lands. Great hunters, fierce fighters, stalwart protectors. And He sacrificed them into the flames to become something greater. Great Aʼcevel commanded that the magics once granted to the Elavien should be now granted to the Acen. Thus, born out of the fire came we Acen. Blessed with the bestial strengths of our forebears, with the stature of Humans, with the magic of Elavien, we were released upon the world. And we were a Reckoning. For each death the Humans dealt to the Elavien, we dealt two in retribution. For each drop of blood spilled, we spilled two. Born of the fire, we were its rage and its sting. For we could wield weapons as the Humans. We could wield magic, as the Elavien. We could snarl and bite, claw and rend, as those first great cats that were sacrificed. It was then, when Oacel saw the vengeance we enacted, that She once again begged a boon of Aʼcevel. We were too strong, She wept, too powerful. In seeking to restore a balance, we had only made things worse. Could He not, in His wisdom, bring back a balance and a justice to the ever-growing wrongs committed? Aʼcevel saw that Oacel spoke true, and He called upon the fires that birthed us once more. What fires had once raged, chaotic, in the palm of His hand, were now tempered and sent to cleanse and purify. The Great Fire washed over us Acen, and as it did, it drank away the magics that had been granted to us. It burned away our fury, left us more able to see the truths around us. We understood all that we had been set to do, and now we understood that we had been no more right for our revenge. The Acen fell to their knees to thank Aʼcevel for His cleansing, and He was pleased. He showed us the swirling plumes of fire in His hand and promised us that one day, when we had restored a balance to the world, we could reach for the flames and be re-gifted the great magics of the Elavien. Until that day, however, He would perch the great flame in the sky for us to see, ever a reminder of what we may one day aspire to. Thus did Aʼcevel set the sun in the sky and the Acen, set upon their new path, became one with the world. One day, we know, when we are worthy, we will be able to reach forth and embrace the sun, to be gifted with those magics once more and become the guardians of the worldʼs balance, as the Elavien had been. Until that day, only a scant few might remember a bare sliver of the power we once had, granted by Aʼcevel and the swirling fires of the sun. Until that day, we sing to the Gods to watch over us, to keep us safe and to deliver us from trying times. Blessed be the True Gods and Those Who Came Before. Blessed be the Acen, and blessed be our paths. Read the rest of "To Embrace the Sun" here. I created this blog to be a fun little addition to my interactive fantasy novel, which you can find here. This is for those of you who were wondering, "Do my story choices really matter?" or "What would've happened if a different story choice had ended up winning?" This is going to be a work constantly in motion, because there are choices even in the very first chapter that will have an impact on things wayyyyyyyyy down the line. Of course, I'm not going to tell you what's going to happen later in the story! For now, I'll write up what I can safely tell you, and then add a "there is more to this choice" blurb at the end of each option. As secrets begin to reveal themselves in later chapters, I'll go back and add to the original choices as needed, so by the end of the story, you'll know exactly how you helped to shape it! What is an Interactive Fantasy Novel? Did you ever read those "Choose Your Own Adventure" books when you were growing up? They were pretty nifty; they were written in second person narrative ("You look around and see this. "), and after every couple of pages, they let you make a choice as to where you wanted to go or what you wanted to do. For example, "If you want to take the left road, turn to page 12. If you want to take the right road, turn to page 17." They were adventures that you could play over and over, where you were the star. They were interactive books. 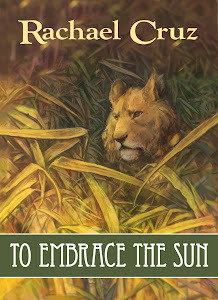 My story, "To Embrace the Sun," is much like those books, only instead of taking the second person narrative, we are following the adventures of a set hero in the story: Taj. Depending on the choices the readers make, the next chapters will take Taj through any number of adventures. Certain things in the world will still happen, whether or not Taj is there to witness them firsthand; it is a living, breathing world, and Taj is just one person. I am aiming to post a chapter every two to three weeks; likely it will start off every three weeks, simply because this month is incredibly busy for me. With each new chapter posted on JukePop Serials, I will also post a quick blog update here with the entries for the previous chapter. That does mean that you won't see any "What Would've Happened"s until Chapter 2 is posted. My first draft of "To Embrace the Sun" started off with the storyteller relating the full tale of the creation of the Acen; it was later edited out to give a more immediate introduction to the main character. Since I am taking my time in writing the chapters this month, I wanted to give you something new to read. Here, then, is the creation myth of the Acen. All contents of this blog are © 2012 Rachael Cruz. Original artwork by Kuroi-Kisin. Picture Window theme. Powered by Blogger.